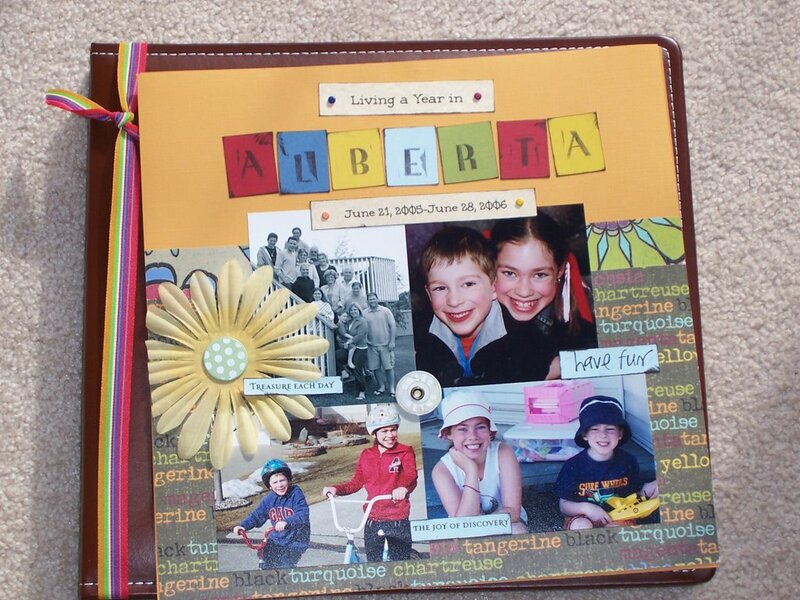 This has been one of my scrapbooking projects for the last 2 months. I have been putting this album together to show everyone back home what our year in Alberta was like. The fun. The friends. The action. While putting this project together, I could not help but reflect on this past year. Life is good. We have a nice life here. And I, in particular, have gained so much. I was part of the workforce for 13 years. I think I was managing work and life quite well, but everything felt "rush, rush, hurry, hurry" all the time-like you were living in a blur. I left the work force when we moved here. My leaving the work force was part of "the deal". Ron travels alot, and someone has to be there for the kids. We decided that it would be me. I would leave the work force and change my focus to being a stay at home mom. This year has given me much time to see & appreciate the little stuff. To hang around school in the morning if Tyler needs an extra kiss before I leave. To read a book. To weed the garden. To chat with a new friend and go for coffee on the spot if I feel like it. To have friends over for lunch on a weekday. To take a nap. To volunteer at school. To cook healthy meals. To exercise. To look out the window and watch the rain. To organize years of neglected things. 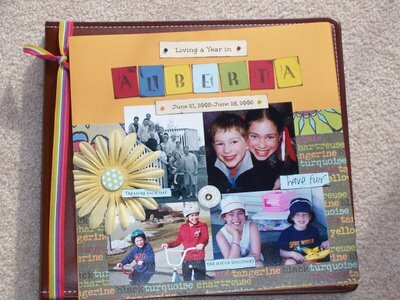 To scrapbook all day if I want. To slow down. This has all been so good for me.